Experience the highest standard of aesthetic renewal with a complete menu of cosmetic procedures and treatment regimens tailored to meet your unique needs. Elevate’s medical professionals provide comprehensive services including injectables, laser treatments, CoolSculpting®, and cosmetic and reconstructive surgery. 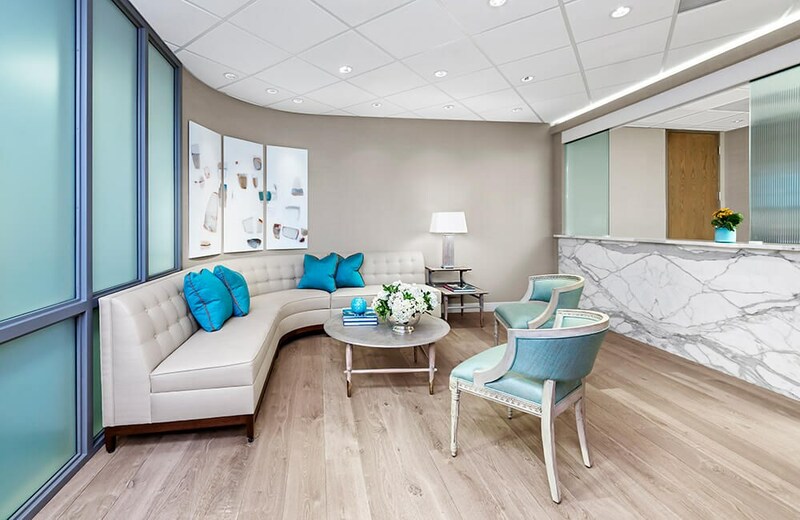 Founded by Dr. Thornwell Parker, Elevate Medical Spa and Cosmetic Surgery is devoted to empowering patients to lead a restorative and preventative lifestyle. Whether you want to restore skin health, make a statement, or turn back time, Elevate aims to deliver a truly uplifting experience. Our expert team of physician assistants, nurse practitioners, registered nurses, and medical aestheticians perform all procedures under the guidance of Dr. Parker and Dr. Hanz to help you see your best results.
" Elevate offers a relaxing experience with great results." As one of seven doctors in the world dual trained as a board-certified plastic surgeon and procedural dermatologist/Mohs surgeon, Dr. Parker bridges the gap between body contouring and skin care. He founded Elevate, adjacent to his accredited ambulatory surgery center, with the mission of providing the highest quality of care, patient comfort, and best value. Elevate promises an uplifting and truly medical spa experience. Since we offer just about every skin care treatment, from facials to fillers to facelifts, we customize the best treatment for your unique skin type and desired look. Our proven aging intervention is a breath of fresh air — refreshing not only your skin and body, but also your state of mind. With a board-certified plastic surgeon and procedural dermatologist on site at all times, you can indulge in our luxury treatments in a safe, supportive, and professional environment. See what our patients have to say about their Elevate experience. All the staff was very professional. Love this place for Botox, dysport and IPL photofacialS. Tori is the best, she listens to what you want and explains everything and I have been very happy with the results of my treatments since my girlfriend referred her to me several months ago. The friends I have sent have also been happy with their results. Can't say enough about how professional and comfortable this Med Spa is in comparison to some of the other popular locations in town (which I've tried). Elevate feels less like a cattle call and more like a one on one experience. Suzanne is phenomenal for brows and facials- very kind and has your best interests at heart. I've seen Tori as well for photo facials and a few other minor treatments. Both are kind, very informed and the office is efficiently run. Avoid all the other Med spas that advertise like crazy. This place is sophisticated yet comfortable. Employees have a high attention to detail and it is very competitive when it comes to pricing. Everyone at the office is so nice. Torey did an amazing job and is great at what she does! !